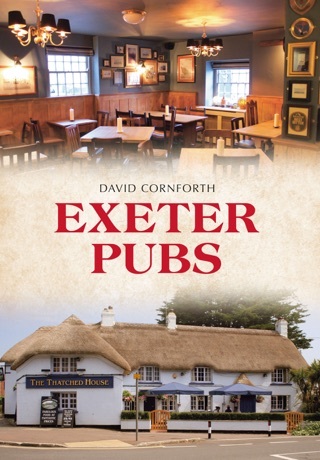 The histories of fourteen of Exeter's best loved historic buildings, including stories and trivia that don't make it into conventional guides. Profusely illustrated with up to date colour photographs, historic photos and illustrations and specially prepared maps. Many illustrations expand to fill the screen. 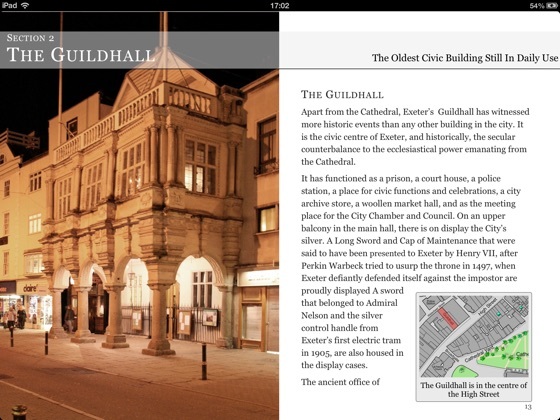 The buildings include the Cathedral, Guildhall, Deller's Cafe, the House that Moved, Molls Coffee House and Tucker's Hall. A full glossary is included. A wealth of historical and architectural research, as well as fascinating human stories and anecdotes, and carefully-chosen period and contemporary photographs combine to produce a beautifully presented work of local history. 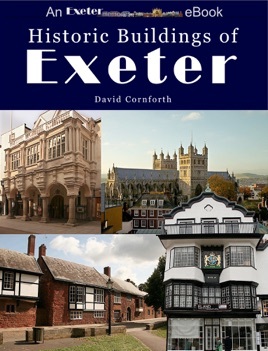 Historic Buildings of Exeter is very well written and organised into sections, chapters, and sub-sections, so it's easy to navigate. The smaller photographs and illustrations can be enlarged at a touch to full-screen size. Full of surprising, amusing and touching stories of the city and its people over centuries. Indispensable for anyone with a serious interest in the history of this beautiful city, and no matter how expert the reader may feel he or she is, there will be many stories and points of interest you didn't know. Highly recommended.